Learn how to specify, optimise and maintain an effective ESD control and protection program to modern ESD standards IEC 61340-5-1 and ESD S20:20 with our ESD Seminars. 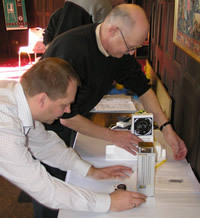 Get latest course details and register online at www.esdprotectioncourse.co.uk. Join Electrostatic Solutions emailing list to get the latest information. On Day 1, presentations and practical demonstrations use electrostatic instruments to show the reality of static and ESD. The key principles of ESD prevention are concisely and clearly expressed as "the seven habits of a highly effective ESD program". Dr Smallwood shows how these principles are implemented in the highly effective 61340-5-1 and ESD S20:20 ESD program standards. Day 2 focuses on aspects of assessment, checks and audit of the ESD program and ESD measurements. Checklists enable delegates to assess their own ESD program compliance. Delegates have the opportunity to observe and try a selection of test methods from the standard. The course is aimed at ESD training for engineers and ESD Coordinators presented in a very stimulating and enjoyable format. Dr Smallwood encourages lively discussion of issues and questions arising during the day. 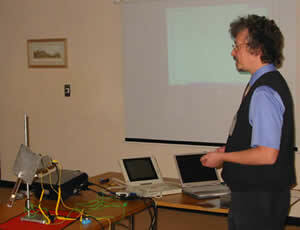 Do you need an ESD seminar tailored to your own requirements? We can do it - on-site at your facility, or as an away-day. Please get in touch to discuss the details. Learn how to specify, optimise and maintain an effective ESD program to modern ESD standards. ESD Seminar: Achieving a highly effective ESD Program (pdf file, 240 kB). Call us to discuss your ESD seminar needs!